The Fund aims to raise £5.5 million to create the Newcastle University Centre for Childhood Cancer, a state-of-the-art facility where the city’s academics and clinicians can advance and accelerate the children’s cancer research and treatment that has already earned them international recognition. It is a collaborative project between the University, the North of England Children’s Cancer Research (NECCR) charity and Newcastle Hospitals’ Great North Children’s Hospital – home to one of the UK’s leading centres for paediatric oncology. •	Professor Sir John Burn, Professor of Clinical Genetics at Newcastle University who was knighted in 2010 for his many significant medical advances. 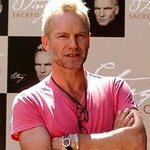 •	Sting CBE, composer, singer, author, actor, activist who was born in Wallsend before moving to London in 1977 to form The Police with Andy Summers and Stewart Copeland. He has released five albums with The Police, as well as 14 solo albums and has earned a total of 16 Grammy Awards, a Golden Globe, an Emmy, and three Oscar nominations.